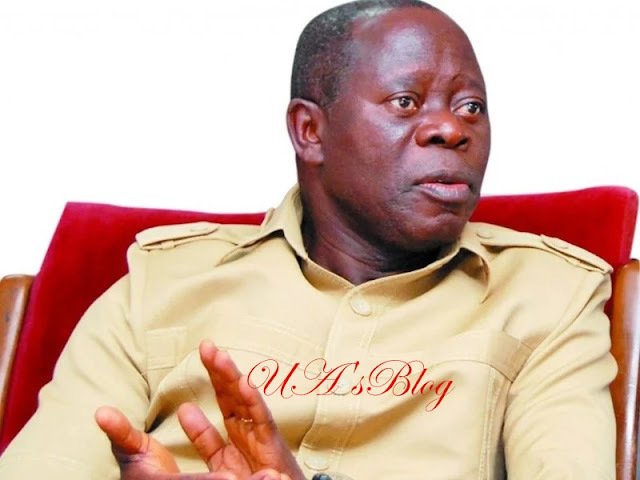 National Chairman of the All Progressives Congress, APC, Adams Oshiomhole has said the party is not in alignment with any African Action Congress, AAC, in Rivers state. Speaking last night when he appeared on Channels TV’s interview programme, Hard Copy, with Maupe Yusuf, the APC leader said neither him nor the party’s national working committee was aware of any of such alignment. Recall that APC did not field any candidate for the Rivers governorship election after the supreme court upheld the annulment of the party’s primaries and congresses. But Rotimi Amaechi, minister of transportation, had said the APC will back Awara Biokpomabo, governorship candidate of AAC during the March 9, elections in the state. Oshiomhole, however, denied such alignment and said it has never been discussed with him. The APC chairman said: “I have never spoken at any forum that we have aligned with any party. There is only one party (I oversee) and that is APC, if there is going to be alignment, I will know.